You’ve got so much to share with the sewing and quilting community. 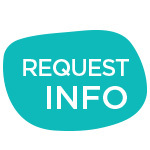 It’s time to get your patterns, products, inventions in the hands of those who really need them! 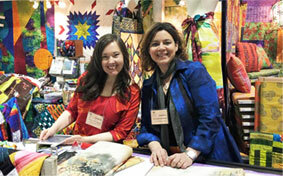 When you exhibit at Original Sewing & Quilt Expo events, you’ll be introduced to thousands of creative enthusiasts. Are you ready? With just a few clicks you can take care of the most critical steps in your exhibiting process. 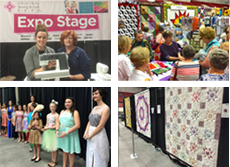 Check this site for up-to-date information including floor plans and Expo features, due dates and forms to make your time with Original Sewing & Quilt Expo a grand success. Produce high-quality events for our industry partners that attract a dedicated audience of enthusiasts. Produce high-quality events for sewing, quilting and machine embroidery enthusiasts that inspire them to attain personal fulfillment and self-satisfaction through their continued love of sewing arts. Produce events with a positive, friendly atmosphere of shared interests and support for each other's growth and progress.